Interview With Jon Matsumoto! | Not Your Average Hockey Blog. We have a new interview to present to you guys! We’d like to welcome Jon Matsumoto. Jon was drafted in the 3rd round (79th overall) by the Philadelphia Flyers in the 2006 NHL Entry Draft. 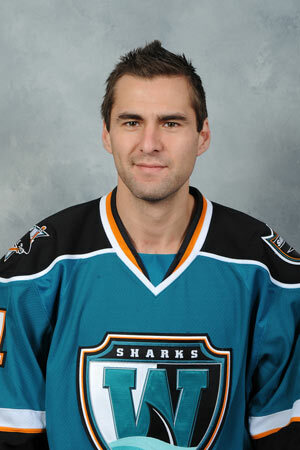 He has played for the Flyers, Panthers, and Sharks organizations. You can follow him on Twitter: @Matsy11. You can follow me @hkyblogger and you can “like” us on Facebook here: http://www.facebook.com/NotYourAverageHockeyBlog . Without further to do here is our interview! My day has been great, first day back at practice, getting ready for the sprint to the finish here. Went for a walk through the woods with Rooney(my dog) and just ate some pesto chicken. I’d say that’s a pretty solid day. What’s a day in the life of Jon Matsumoto? To be perfectly honest, like I say on my twitter profile (shameless self promotion @matsy11) I am relatively boring human being. I go to the rink in the morning, grab some lunch on the way home and then either run errands or just relax. If we don’t have a game the following day I like to get in a mini workout after dinner. So some of our readers might not know too much about you, so maybe a little bio or a cool fact or something? Grew up in Orleans, Ontario. Got to play close to home for the Cumberland Grads of the CJHL, off to school at Bowling Green and then started my pro career. Your last name is very unique. What ethnicity are your parents? My father is of Japanese descent and my mother is of German descent. Both born in Canada. Always trying to learn new aspects to my game, certain things are easier to pick up such as a shootout move or a deke. While other intangible things such as competition level and positioning are tougher to emulate. Pavel Datsyuk I believe is one of the most complete players and obviously has enviable qualities. Who’s your roomie on the road? I consider myself a scorer, but I am always trying to improve. What do you miss about home during the season? During off-season, how do you spend your time? Working out a ton. My fiancee and I are kind of nomads at this point, so it is related to our location. But beaches and baseball games are usually common activities. Off to more random and personal questions. This is where many readers get to REALLY learn about you. So you say your dog is extremely smart. What breed is it, and how is it smart? We are not sure, he was part of a group of strays that a few members of my San Antonio Rampage adopted last year. He was house broken in less than a day. Currently I am into a lot of country and house music. As a side note I have a thing for Canadian artists not matter how much bad press they receive, like Nickelback, Avril Lavigne, Celine Dion etc. Call it misplaced national pride perhaps? Who on the team has a horrible taste in music? I give James Livingston (@jameslivy) a hard time about his music but I can’t really complain about it. Al dente penne, with chicken in a 3:1 blend of alfredo to tomato sauce. Snack you shouldn’t really eat but end up eating a lot of anyways? Ice Cream, but they give it to us at our pre-game meals on the road. So that doesn’t count right? I have an iPhone. Had the original iPhone and have tried to stay loyal to Apple. Every team does pranks. Best one you’ve done or seen? Wacey Rabbit (@waceyrabbit20) got me last year by texting me from a random number and telling me that the GM wanted to talk to me at the front of the bus. Other good ones are the shaving cream in a towel, taking the deodorant label and putting it on the hairspray can, taping guys clothes in a ball and a cup of water/Gatorade under the helmet. What has been your highest point of your career? NHL: Scoring my first goal. AHL: Winning the longest playoff game ever, defeating the Chicago Wolves in double overtime last year. Anybody I gave a shout out to. This entry was posted in Uncategorized and tagged AHL, Interview, san jose sharks. Bookmark the permalink.